mrs sew & sow: When are geese not geese!? Diane in my Modern Stitching Bee asked for Geese this month and I picked a block I liked and started cutting but then observed that my 'geese' are imposters as they are actually HST ! I liked my chosen block so much that I made it anyway! I love it now and am thinking of setting it as a bock for one of my bees - though it may drive them crazy if they don't like HSTs! The essential thing is careful choice of your middle square - it needs predominantly two colours which are then repeated in the HSTs to either side! My solid is Kona Iron which I think I prefer to Ash I have to say! I found the tutorial here @ made during quiet time in case you are in my bee and want to practice! Or you just like it! Since then I have been looking at several traditional blocks with geese in the name and find that they are made with HSTs too! Here is another colourway I tried out! Prefer the other one though.. But the good news is that I have found other blocks that are made with real geese! Gorgeous blocks but the flying geese thing is confusing, because I can see why the block got that name, but they really are HSTs aren't they. oh god, please don't make me make that! Yes, that's the block I made for a bee recently! I love both your color choice. Go on, make your ladies do it! I found it easier than than pesky geese! Pretty! I love your first one too! Gorgeous. 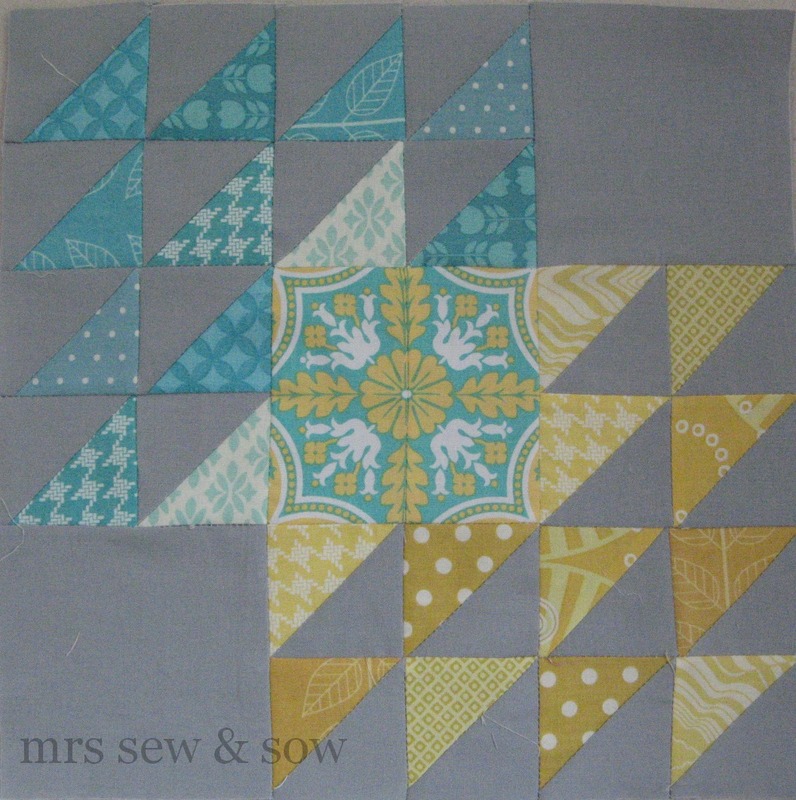 Love the blue yellow grey block - beautiful! they are both beautiful blocks. Love your colours and the centre blocks really set it off. These are both lovely but I especially like the top one! 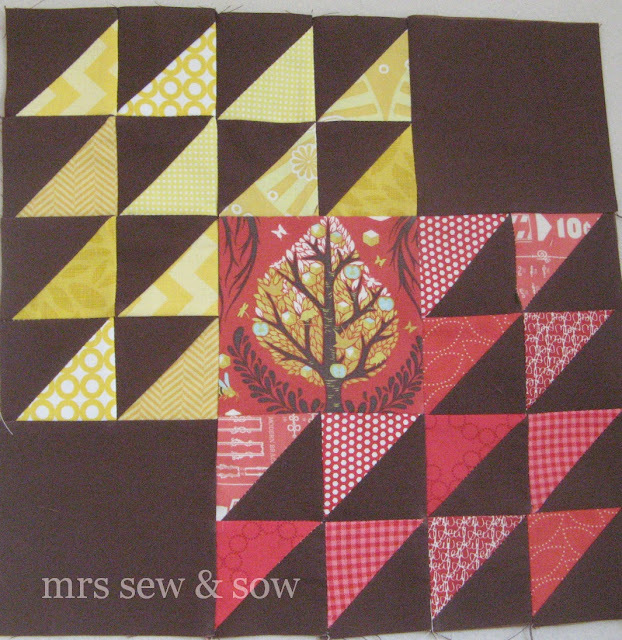 Great block, shame I have an allergy to HSTs!!! I saw them as flying geese - until you pointed out that they weren't! I made this block for a bee! Yours are really the prettiest I've seen! It's especially cool seeing one with a brown background! Gorgeous blocks. When is your month in the MSB? Fun!